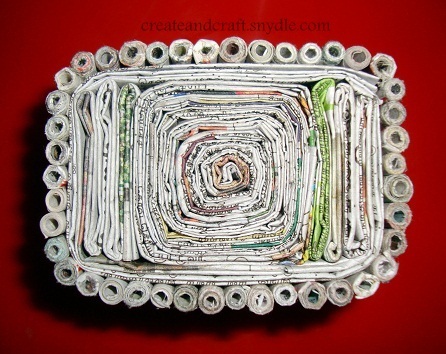 Newspaper is one of the best recycle material. 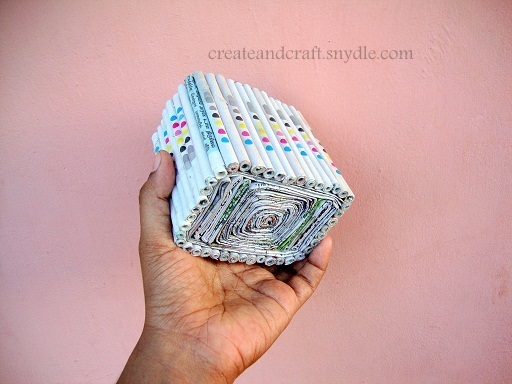 You get plenty of them which can be recycled and reused in zillion different ways. 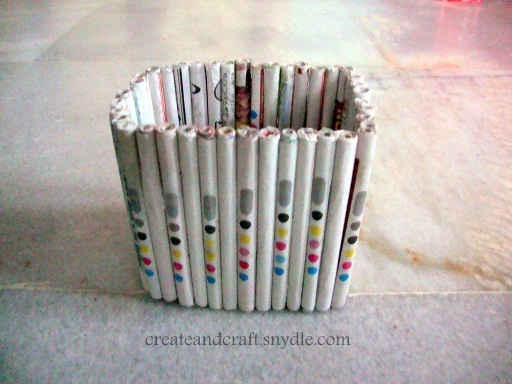 There are more creative ideas to use them.Even I have written a post on Newspaper wall hanging. 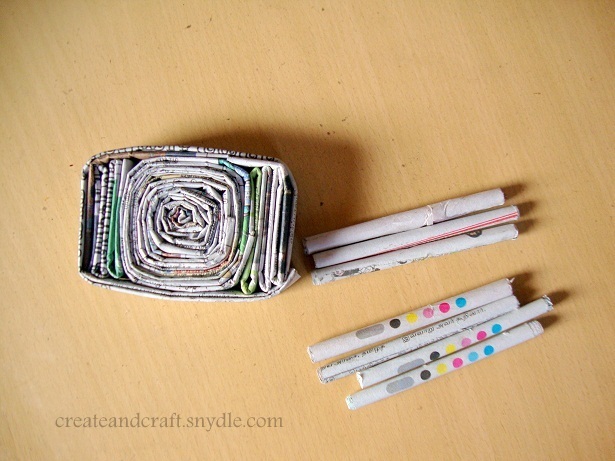 Now I made one more recycle project out of old newspapers. 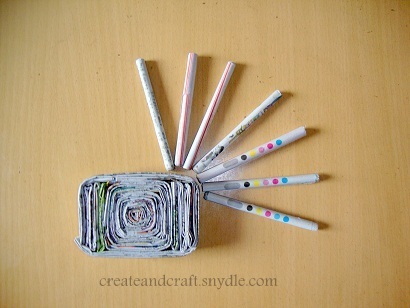 Its is pretty as well as purposeful most importantly its recycled/reused. That makes it more appealing for me. 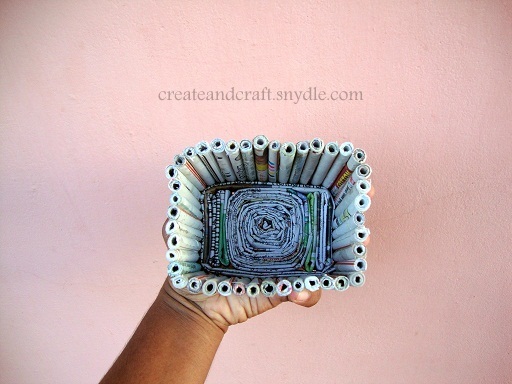 So lets see how i made this multipurpose holder with just newspapers and glue. 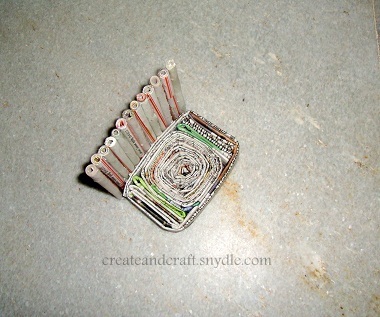 Make the base of the holder in a rectangular shape. This is made like a coaster.Check out my previous post here to learn to make the bottom part. Once the base is ready we have to make the stumps which form the walls of the holder. Prepare ample number of sticks same way stick it on the sides of the coaster prepared earlier. Then apply a mixture of glue and water in the ration (2:1) over the stand to make it more sturdy. Thats it mulitpurpose holder ready ! Easy isn’t it ? Try making one four yourself.